Another important and influential world of music making was opened up to Seen&Heard upon noticing this event in the Gaudeamus festival listings. Its heart is an annual International Choir Competition held in the National Theatre of Rhodes , with additional competitive opportunities for solo singers (not taken up this year) and several non-competitive concerts, including a splendid demonstration of Greek dancing at its exciting best. An expressed philosophy of the International Music Festival was that 'in an era full of troubled and unproductive geopolitical confrontations it should try to alleviate these predicaments by offering an olive branch in all directions'. The Festival Organisers (Artistic Director, Dr Thrassos Cavouras & Programme Co-ordinator, Alex Bassis) can pride themselves upon having achieved an exceptionally friendly and indeed festive atmosphere. A quest for excellence, and a competitive spirit based around national identities, were contained within a ritualised, exuberant presentational framework, which promoted attendance by large audiences as well as sharing and appreciation of each others' achievements by participants, who did not disappear after their own appearances, as is liable to happen in so many competitions and festivals. Entry was by audition of tape recordings, and a thousand singer hobbyists descended on this designated World Heritage City. They represented eleven countries, with a strong contingent from Eastern Europe, where there is an actively maintained choral singing tradition. In previous years there had been successful participation by choirs from England and Wales, but in 2001 the UK was conspicuous by its absence. 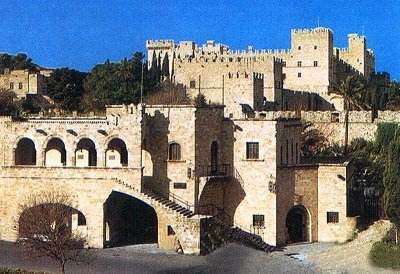 We learned gradually that there is a thriving and increasing network of international choir competitions held in inviting venues, none of their locations likely to repay an extended visit better than the City of Rhodes, which boasts a stupefying walled medieval Old Town, of a grandeur and state of preservation not previously encountered in our travels. The Rhodes climate (300 sunny days each year) at the south-east extremity of Greece, close to Turkey, is ideal in April and, with the UK's favourable exchange rate, this was a chance not to be missed. The organisers provided us with accommodation and an open pass (admission to the earlier competitive stages is free). They would not expect us to brush aside critical considerations and, as with Rotterdam , we will hope ours will be thought positive and constructive. It quickly became clear to us that the Vocalensemble Landsberg from Germany and Taller de Musica Sine Nomine from Spain were likely front runners. The Rules, which were set out in Greek and English in the preliminary brochure, are complex. They attempt to cover every eventuality and are applied rigorously. The choirs could each be entered in up to five categories: mixed choirs, male and female choirs, chamber ensembles (mixed, male and female ensembles), youth (mixed up to age 24) and children (up to 18). These were adjudicated in separate sessions, each presentation requiring one of two compulsory items, with two free choices up to 8 mins total, and deduction of penalty points for over-running. Scores out of 100 were allotted to two decimal points, concerning which more later. 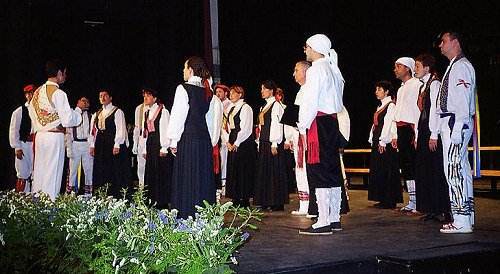 Seven Hellenic choirs from far flung parts of Greece were assessed separately, as well as taking a full part in contention with the 'foreign' contingent. The standard of participating choirs ranged from the height of professionalism to a modest local level, presenting the jury with the difficulty of comparing unlikes in a rigid context, which precluded allowances that we would have liked. Appearances were often deceptive and several choirs that looked well endowed as they came on stage seemed unused to projecting in a large hall and prone to lose energy and intensity in pianissimo. A glaring example of the problem confronting the jurors was the case of the large Voula Municipal Choir [above]of mature and senior citizens from an Athens suburb. Appearing on platform immediately following the eventual winners, a superbly trained choir from near Munich, they looked unlikely competitors, in the wrong place at the wrong time. The intelligent direction by their sensitive conductor immediately prevailed and we were charmed and captivated by the sonorous blend and quiet intensity they brought to Brahms, Rachmaninov and a Greek devotional song. The Voula choir was moulded to a perfectly balanced ensemble, tuning was excellent and the ageing voices were never strained beyond comfortable possibility. Lioudmila Kazartcheva merited highest praise for her wise choices of repertoire, its preparation and her singers' concentration in performance. This moving achievement, which I rated 'brilliant' in my notes, earned a derisory 29.67 marks out of 100, the lowest awarded during a long evening. Another misfortune, through no fault of the youngsters, befell Carmina Tenera, a charming children's choir from Romania, which gave a short programme of music from their own country. The music scores of the compulsory items had failed to reach Bucharest and, as a consequence of having 'violated one of the most important rules', they were permitted to sing, but not to be adjudicated. Contemporary music of more radical kinds was in fairly short supply, and avoided prudently by many participating conductors; it was believed by the organisers that inclusion of any in the compulsory choices would pose excessive difficulty, especially for many of the Hellenic choirs. But there were pleasing surprises and many new composers' names for us to become acquainted with, e.g. several well crafted pieces by the Spanish-born Venezuelan Alberto Grau (b.1936). The singing of a large Swedish girls' choir, Korallerna of Lund, [above] made a great impression with a lively piece of music-theatre, Aglepta by A Mellnãs, in which they shook down their hair to become witches. At their first appearance they had sounded to us pale, under characterised and just 'too beautiful', but they improved during subsequent days and emerged as the 'dark horse' of the festival. Competing in the 'equal voices' category, Korallerna narrowly beat the women from Landsberg for a place in the finals. On the other hand, we regretted that Taller de Musica Sine Nomine [above], Spanish contenders from Pamplona in Navarra, under their exceptionally gifted and innovative young conductor Pedro Maria Ruiz Huici, twice lost their chance to compete in the finals, first against the Germans from Landsberg and then being narrowly beaten by the Vox Danubii choir from Romania - by a mere ½% margin each time. We were far from alone in believing them to have been the best in each of their three appearances. Those tiny differences are far below any recognised level of statistical significance, the more so because the actual scores were very similar, and they overlap. The young Spaniards sang without music books and appeared on platform in an unusual layout, the men and women distributed amongst each other, instead of in the regulation rows of s-a-t-b normally adopted. They became for us individuals, part of the whole, but responsible for their own parts and, by design, unable to rely upon support from neighbours, an approach which had last year been taken a stage further in London with ENO's successful staging of the Bach St John Passion. The personable Navarrese sang with enormous concentration, superb intonation and diction, and full, characterful tone in all voices. 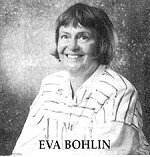 For me, the most astonishing moment of the whole festival occurred in their account of Bach's chorale Komm susser Tod, when the individual singers timed the suspensions in the cadences freely, resulting in sharp dissonances before the final resolution. My note was 'tingle'! 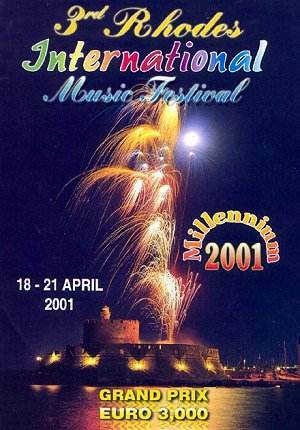 This was a well-run competition and we would offer but few suggestions from our strictly 'outsider' perspective, many of which could only be considered for 2003, because the 2002 brochure is already published (choir_competition@hotmail.com). To complement the learning which flows from hearing different choirs in close succession, a seminar to discuss training strategies and problems might be a valuable addition to the programme? Also, it would be interesting to discover what would be the take-up if the booked rehearsals were made open to choir conductors and their singer members, with encouragement to attend highlighted in the festival programme (I found it illuminating to eavesdrop upon two unscheduled rehearsals, which took place in corners of our hotel). The age classifications may merit review at both extremes? The 16-18 yr.old Swedish young women are unlikely to think of themselves as still 'children'! The computer programme, which made so easy the division of percentage marks into hundredths - creating an illusion of super-precision - could be adapted to introduce age-related weighting. The compulsory choices were, to our taste, a little over-weighted with liturgical works by Palestrina, Sweelinck, Mozart, Liszt & Verdi, but this made sense for a festival in which many of the participating choirs were church-based. There was a session for the choirs of Folklore Performances, but this was not rated or included in qualifying for the finals, indicating a value judgement bias which might leave the choir movement behind the times in the new Millennium, when a strict division of and categorisation between high and popular arts is breaking down. Having thought through the effects of such a close-run competition carefully, we conclude that the Rules should perhaps be amended to admit an allowable small margin of difference between scores, within which joint places could be awarded? Had such a proviso have been accepted, a final 2001 contest for the Grand Prix between the leading Gold Medallists from Germany, Romania, Spain and Sweden (in alphabetical order) could have taken place and would have been fairer. The jury might be strengthened to advantage, and its considerations broadened, by inclusion of a musician who is not a choral specialist. 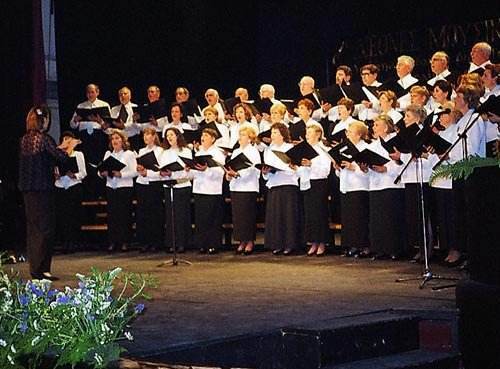 Many performance competitions have an audience prize, but that might be impossible to organise fairly in Rhodes because of the vociferous national partisanship which was so much in evidence during the festival, and indeed encouraged by stressing the country of each choir, and that of each of the three jurors from Argentina, Bulgaria and Ireland on every possible occasion. This occurred at their every mention in the bi-lingual announcements, which were always heralded by a portentous musical 'signal', or signature tune for the festival, Grieg's Ave Maria Stella arranged for electronic organ, so often that it became fixed in our memories for life. A little unintended fun arose from what developed into a 'running gag'; nearly every conductor tried to raise the music stand supplied - and its top invariably came off! Some volunteer help for platform management would be desirable, also a few ushers to help quieten the chatter outside the auditorium during the competitive sessions. The final session was a highly emotional and elaborate, over-the-top ceremonial worthy of a major sporting international. After all the speeches, there were 'shoot-out' singing contests for the chief trophies, and the prolonged awards presentations, both of which provided ample opportunity for the audience to contribute its views in various ways. Katherina Vassilikou, conductor of no less than three of the Greek choirs, ended up festooned with medals around her neck and laden with a multitude of gifts as a proper reward for her hard work and substantial achievement. There were multitudinous chances for co-national groups in various corners of the auditorium to orchestrate their support as the numerous medals and diplomas were given over to the choirs' conductors. More interesting to us was the groundswell of support from the entire audience for the Spanish Taller de Musica Sine Nomine, partly to express collectively commiseration that they had been denied the possibility to compete for the ultimate reward - many individuals had told us in no uncertain manner that it was they who had given the most pleasure of all during the four days. Tension was screwed up for the culminating contest for the Grand Prix of the whole tournament (the largest of several silver cups plus 3000 Euros) between all the section winners. After they had taken their turns on the platform to sing once again, the charming English language commere told us that it was now 'the most wonderful part of the Festival - the awarding'! Down in the stalls there was a feeling that the young Swedish girls should win. The verdict went however to the German Vocalensemble Landsberg [above], thoroughly deserving winners who really could not be faulted on the night and, under their inspirational director Karl Zepnik, had presented their programme impeccably. The decision in their favour was however met with a cool audience response, and some boos - the first vocal disapproval heard during a generally good-natured event, in which we had been impressed throughout that the various choirs came to listen and express appreciation of their rivals in a generous spirit. That was not the end of audience participation at Rhodes! Very soon clapping and cheering broke out around the Swedish Korallerna at the back of the hall and for their director Eva Bohlin (a highly regarded conductor of eight choirs from the Lund area) and this quickly spread to the whole audience, which pointedly turned its collective back to the stage and joined in a prolonged ovation, thereby awarding its own unofficial audience prize. Whilst the jurors had been deliberating during the evening, we were entertained by one of the choirs to help fill the waiting time. Had the Spanish Taller de Musica Sine Nomine been invited to do so, there might have been a demonstration amounting to a minor riot! Order was restored with massed singing of a chorus from Nabucco followed by Handel's Alleluia chorus from Messiah, conducted by Dr Thrassos Cavouras, who had taken his place to augment the three jurors to four for the determination of the Grand Prix. Afterwards (so it sounded from our hotel room) celebrations went on all night! 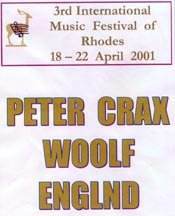 We would encourage choirs to consider future Rhodes International Music Festivals, and any music lovers planning to holiday in the Aegean during the Spring to take them in as listeners. 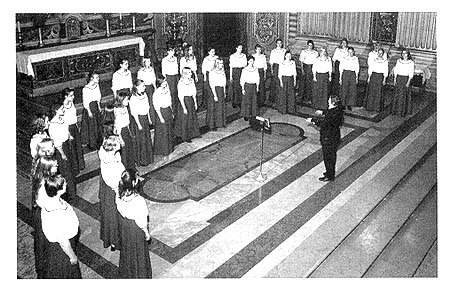 The next is scheduled for April 2002, when it must be hoped that the strength of UK choral singing will again be on display. The Greek language being impenetrable to most visitors from abroad, the island is very comfortable for Britons, since English is an official language for the festival proceedings, and is spoken and written with best endeavour everywhere on the island. 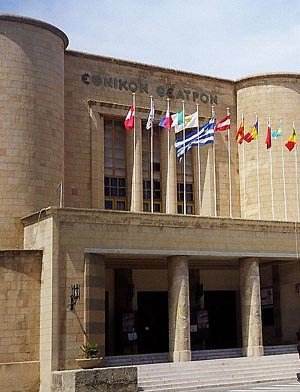 The Rhodes Municipality Modern Greek Art Gallery is quite exceptional in the range and quality of its collection - unique in the whole of Greece - and its sophisticated presentation. 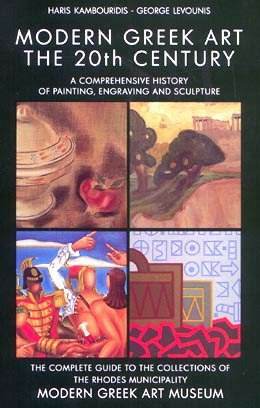 The lavish Guide Book - in impeccable English - is our most treasured souvenir, one which relates the exhibits of modern Greek art to the country's turbulent history and throws light on the difficulties in the development of modern Greek music until now. And, of course, the Old Town itself is an extensive and astonishing museum in its own right. * Reduction by 5 points because the Choir exceeded the time limit of 8 minutes for the 2 freely selected works. ** The Choir was disqualified, because it didn't perform one of the two compulsory works.